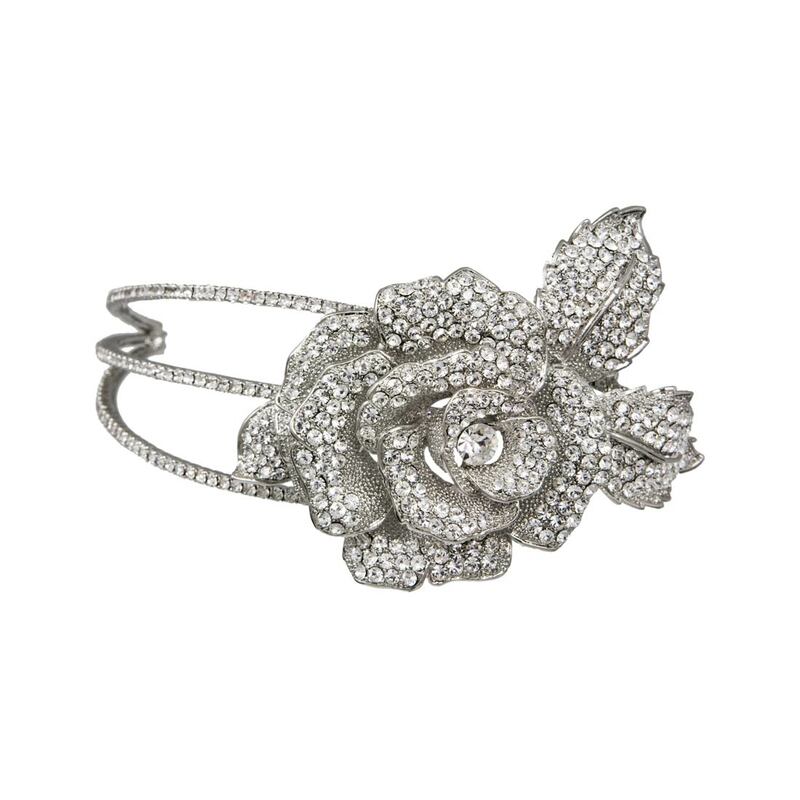 Dramatic and full of the timeless glamour, our rose side tiara is sensational. Dramatic and breathtaking, this beautiful rose side tiara is undoubtedly a headpiece to make a striking style statement. Featuring a bold silver tone layered rose encrusted with sparkling clear Austrian crystals and set on a triple crystal studded band with end hoops for securing with pins or kirby grips, it exquisitely combines classic 1940's glamour with romantic style. Perfect to wear in place of a hat to a wedding or the races, this looks divine worn in a loose chignon or elegant up-do. 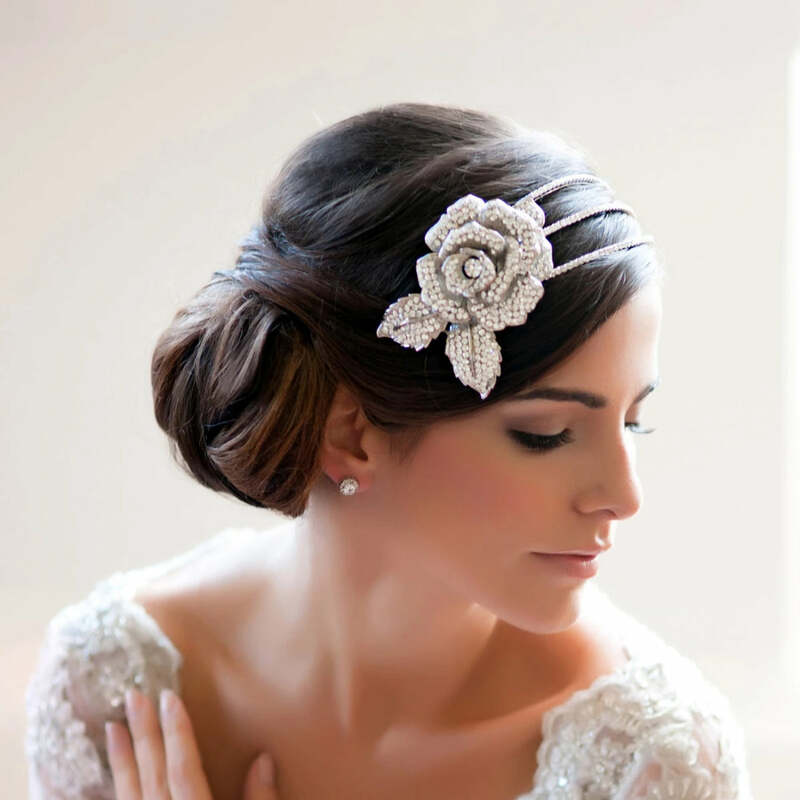 Brides who adore dramatic wedding hair accessories are sure to fall in love with this side tiara which would compliment a vintage inspired bridal gown to perfection. My Mum bought me this tiara for my upcoming wedding. It is fantastic quality and sparkles beautifully. I can't wait to wear it.